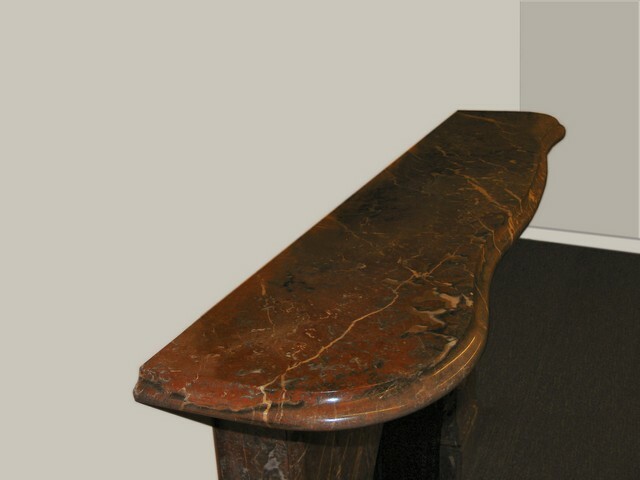 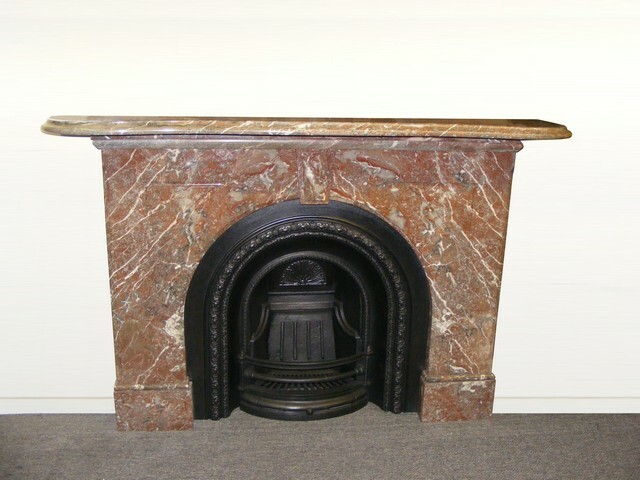 Victorian marble fire surround (AMS-1379) A magnificent Victorian arched marble surround in Rouge marble, with spandrel panels and central keystone rising to a spectacular serpentine mantle shelf. 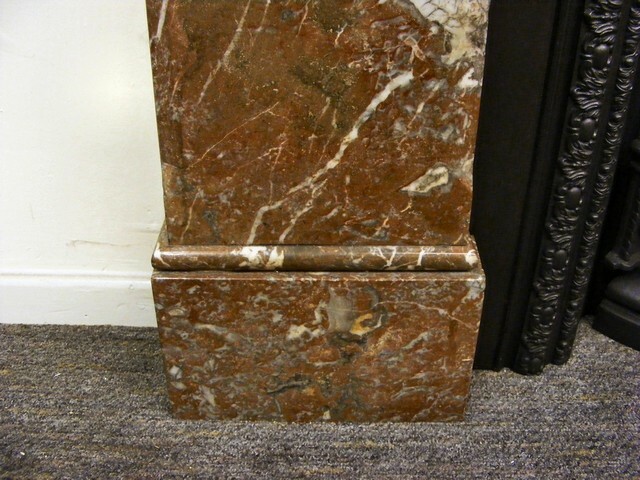 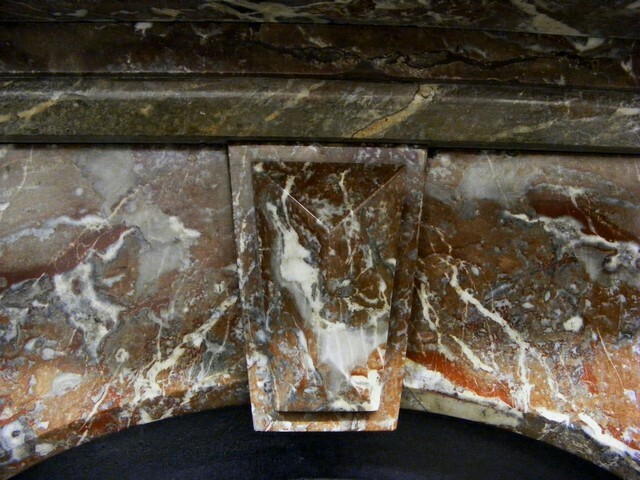 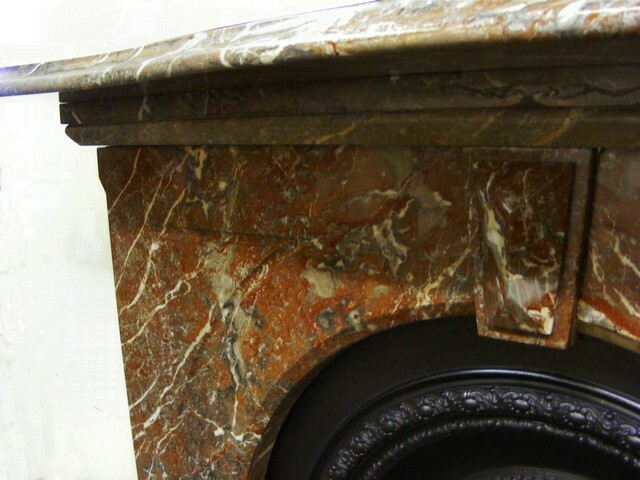 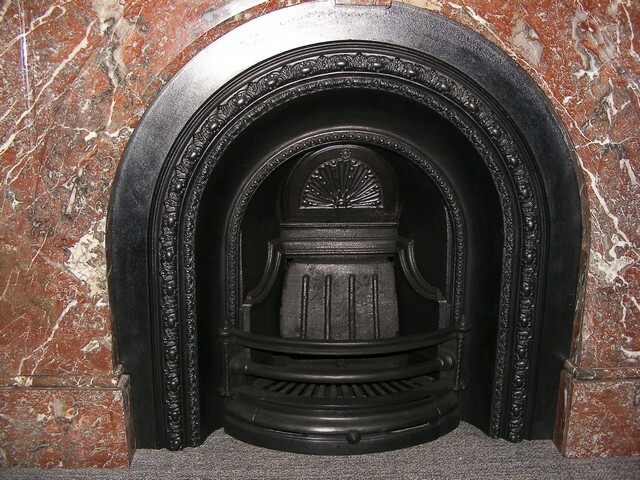 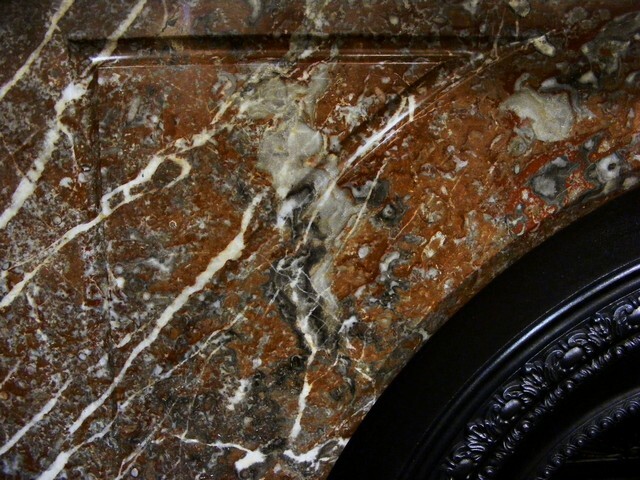 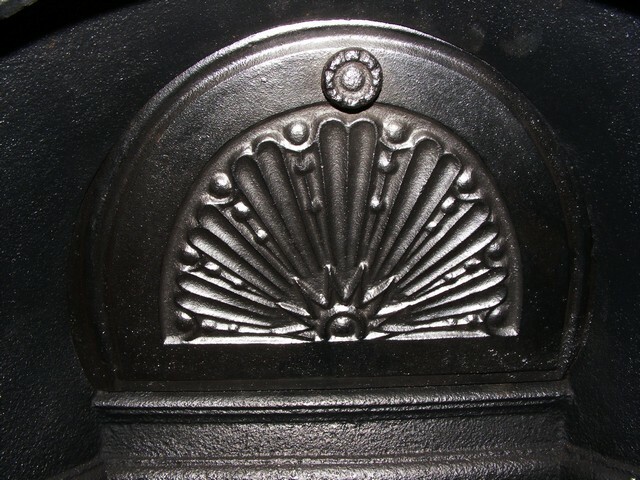 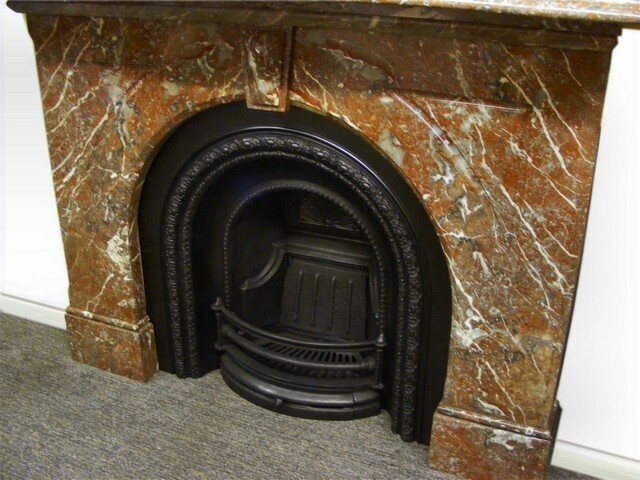 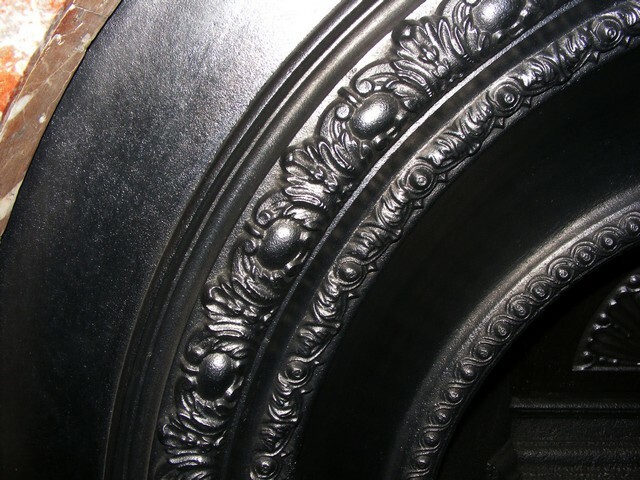 A great quality surround with great proportions, fully restored marble fireplaces. Measures 73”wide x 49”high with a an opening 36” x 36” Priced at £2400.00.